Installing Contest Creator version 2.0 has never been easier! 1. Download the plugin "wcc-contest-creator.zip" file received after completing your purchase to your computer. 2. Log in to your WordPress admin, usually located at yourdomain.com/wp-admin. 3. 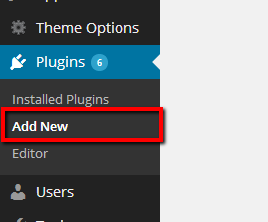 Visit plugins on the left menu > Add New Plugin. Select Upload and choose the zip file you saved earlier to your computer. Then click Install now. Where is the activation code?